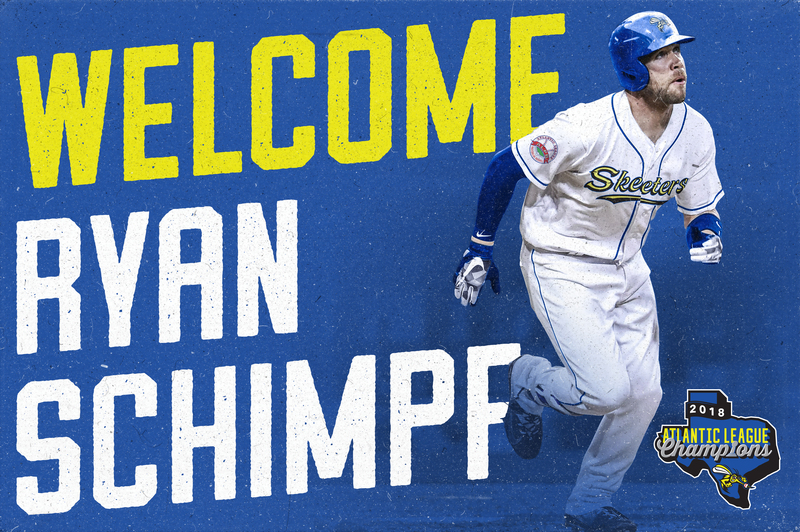 SUGAR LAND, TX — The Skeeters today announced they’ve signed former Major League infielder and former Louisiana State University standout, Ryan Schimpf. Schimpf, 30, appeared in five games for the Los Angeles Angels in 2018, going 1-for-5, with the hit being a two-run home run. He played in additional 30 games with Triple-A Salt Lake (LAA), hitting .178 with three home runs and 13 RBIs in 33 games. He made his Major League debut with the San Diego Padres in 2016 and also appeared with them in ‘17. Schimpf finished out the 2016 campaign with 20 home runs, which were third-most on the Padres, despite playing in just 89 games. Schimpf notched 2.0 wins above replacement, which was third-best on the Padres that year, to go with a slash line of .217/.336/.533 and 51 RBIs. Schimpf appeared in 53 games with the Padres in 2017 and hit .158/.284/.429 with 14 home runs and 25 RBIs.